The SLS Las Vegas is getting a facelift. SLS is the casino built on the hallowed ground once occupied by the Sahara. The new casino opened in 2014 and has seen a number of ownership and leadership changes in a short time. The current owner of SLS Las Vegas is the Meruelo Group, which also owns the Grand Sierra in Reno. Planning for the reimagined SLS Las Vegas began in April 2018 when Alex Meruelo, founder of the Meruelo Group, acquired SLS Las Vegas from Stockbridge Capital. The new ownership group has plans to bring the casino back to life with a $100 million resort renovation project that started in October of last year. Guests today can see updates to the casino floor, hotel rooms and corridors. Visitors of SLS Las Vegas will see renovations and additions to the casino-hotel throughout the process. Restaurants can be a calling card for a Las Vegas casino. SLS Las Vegas will update its restaurant roster for the first time since changing the cafe. Uno Mas, a new Mexican restaurant, will open in the space once occupied by Ku Noodle in March. The award-winning Bazaar Meat by Jose Andrés will continue operation with an expanded profile. Bar Centro, at Bazaar Meat, recently launched Flight Unknown, an innovative exploration of five craft cocktails. At this time, there are no plans to replace the delicious Mediterranean restaurant, Cleo. There will be one major restaurant closure with the renovations at SLS Las Vegas. Katsuya will close to make way for a new high-limits gaming lounge that will feature table games, slot machines and a new bar. The first renovation that many guests will see at SLS Las Vegas is the new casino floor. The original 60,000-square-foot casino floor at SLS Las Vegas felt cavernous with high, dark ceilings. The modern industrial environment is being swapped for a more traditional casino environment. The casino floor at SLS Las Vegas will feature a new, lower ceiling. The bright and modern atmosphere will make the new casino feel cozier to guests. The layout of Sahara and now SLS Las Vegas is unique. The Meruelo Group will create a new layout for slot machines and table game pits. Foxtail nightclub will be closing and a new ultra-lounge will be opening. The new lounge is currently under construction and will become the centerpiece of the casino floor when complete. Hotel guests will see a redesign of both the Story and World towers. There will be additional upgrades to the Grand Tower. All of the hotel renovations are close to completion. Improvements for the Story and World towers include enhancements to the elevator lobbies and room corridors as well as remodeled rooms. The Grand Tower, most recently known as W Las Vegas, will also see room upgrades. The tower will maintain its AAA Four Diamond status and keep its private hotel entrance. Grand Tower Spa will also receive an upgrade. The hotel room designs at SLS Las Vegas are modern, yet traditional. The hotel room renovations are near completion, while most of the work on the casino floor should be complete by spring. Marc grew up on the mean streets of the South Bronx. He's the rare combination of Yankees and Jets fan which explains his often contrarian point of view. Marc is a freelance writer and social media consultant. Writing about steak, booze, gambling and Las Vegas is a tough job but somebody has to do it. WSOP.com is the only legal online poker room in Nevada. Qualify for World Series of Poker seats, win WSOP bracelets, and play cash and tournament games 24/7. Read our WSOP Nevada review here! Why Use Sports Betting Apps In Nevada? 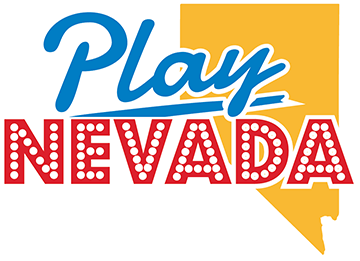 Is Online Poker Legal In Nevada? © 2019 Play Nevada - All rights reserved.